This sweet Moscato is still, you’ll find no bubbles in our bottle. Fruity aromatics lead to a melon and pair finish. 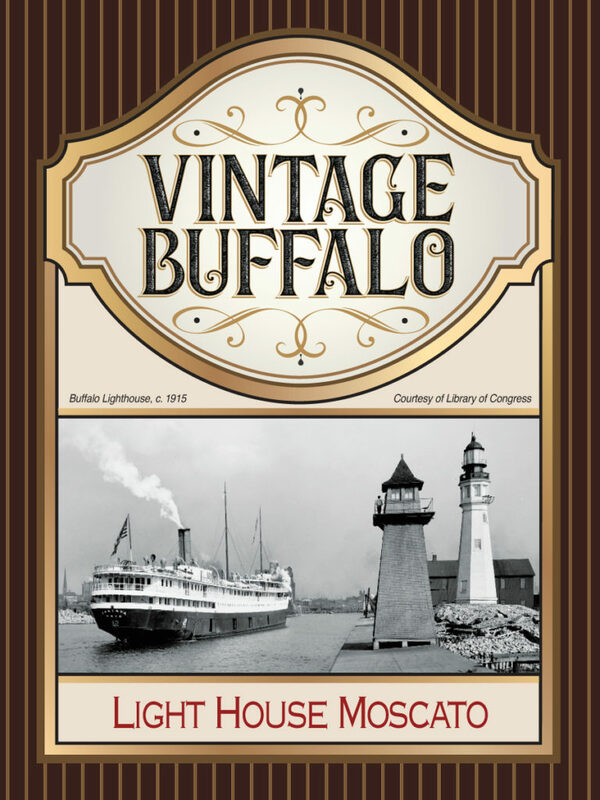 In 1805, the United States Congress made the village of Buffalo a port of entry to the US. Lake Erie’s convergence with the Niagara River was recognized for its strategic location. Unfortunately, any light house building or land acquisition was postponed by a little skirmish we like to call the War of 18812. The Buffalo Main Lighthouse was finally completed in 1833 and remained actively lit until 1914. While no longer in operation, preserving this light is critical as it is presently recorded as Buffalo’s oldest building still standing on its original foundation.